We make it easy to take the first step! Life can be challenging no matter who you are. We can help! We offer individual adult and adolescent counseling, career counseling, group counseling, family counseling services and so much more. Individual counseling is an active, one-on-one process designed to help you make necessary adjustments in your life. Individual counseling can help you define realistic goals for change and come up with effective ways to achieve those goals. At CPAS we believe it's necessary to cope with life's changes by treating what we consider to be the four primary factors that make up human existence: Mental, Spiritual, Emotional and Physical. We believe mental issues can actually lead to physical ailments, and physical problems can cause emotional turmoil. Social isolation can make all those problems even worse, and if you've lost touch with the spiritual aspects of life, you may feel alone and hopeless. When you come to CPAS, you'll meet face to face with a licensed therapist who will ask you questions about each of these four factors in your life. Then we'll set out, together, to dig deeper. Our goal will be to restore balance for you, the whole person. Your therapist will serve as your guide as you embark on this difficult but rewarding journey. You already know you have to change. Our integrated, holistic approach will help you do just that. Families tend to have different needs than individuals, and sometimes it's not enough for just one person to meet with a psychotherapist. Sometimes your entire family may be out of balance. In family counseling you'll meet with a counselor specifically trained to recognize negative patterns of behavior that can develop in any family. Family counselors are trained to explore issues in traditional families with a mom, dad and kids -- or in any other combination of adults, children and teens growing together as a family. Family counseling also employs techniques to assist parents during the challenge of raising children throughout the developmental spectrum. Licensed therapists at CPAS will meet one-on-one with individual members of your family and with the whole family as a group. The therapist will make clinical observations including how family members interact with each other, and will then explore with everyone new ways to communicate and resolve conflicts. Raising children can also be challenging. Together with the family counselor, parents and children can explore new ways to talk to each other, to solve problems, and to move through life's phases in more enriching ways. Helping women explore the unique issues they face these days is a highlight of our psychology practice at CPAS. Women and men don’t think alike. Women tend to experience more depression. They tend to have a harder time balancing the pressures of working, running a household, and raising children. They can feel overwhelmed by the conflicts presented by the demands of the workplace versus traditional roles they must fulfill at home. Women are more intuitive than men, but their voices are too often ignored or not understood by those around them. Research shows that women actually produce more “feel good” hormones when they’re in the presence of another supportive woman. One of our key goals at CPAS is to offer that support in a therapeutic setting, allowing you to recognize the tremendous value you have as a woman. We’ll also work together to help you manage stress, address issues that may be contributing to depression, and strive to achieve better balance and satisfaction in your life. Terrible things can happen to the best people. You may be facing a divorce, loss of a job, or the death of a loved one. You may have experienced violence or sexual trauma. These crises can result in feelings of helplessness and hopelessness. Crisis counselors utilize various strategies to help you work through difficult times. The therapists at CPAS are here to assist you. We'll meet with you as quickly as possible	and as often as it takes to help you through your emotional crisis. We do make it easy for you to take the first step, but first you have to reach out to us. At CPAS, we believe spirituality is a vital part of psychotherapy. We offer Christian counseling, which combines modern therapeutic methods with Biblical values. We are a Christian-based practice. That doesn't mean you have to share our beliefs to be accepted for counseling. However we do believe that your spiritual well-being is vital to your mental and physical health. It also means CPAS counselors are trained to use Christian values as a powerful road to healing. Research shows that people with belief have greater resilience than others. Research also shows that people of faith are often ashamed to admit they need counseling. They sometimes feel guilty that their faith alone doesn't solve their problems. In fact, we will strive to use your faith to reconnect with the sanctity of life, to restore your relationships, and to give you fresh hope. Do you find yourself procrastinating too much? Do you find yourself getting angry when your boss tells you what to do? Are you getting annoyed with other people over the smallest things? Life skills coaching is a fast-paced goal-driven form of therapy designed to help you change behaviors that are getting in the way of your happiness. At CPAS you'll work with your therapist on specific tasks. This may include homework assignments. Our goal will be for you to understand which behaviors are getting in your way, then to develop techniques to break old habits and develop new ones so you can more forward with your life. Career and vocational counseling is designed to work on specific changes you can make in your outlook and behavior to help you make the next steps in your career. With the economy in turmoil these days, many people are finding themselves losing a job or facing career changes. Even if you have a steady job, you may not be moving up the way you want to, or you may find yourself in conflict with coworkers. You may need help with anxiety so you can cope more effectively with a job search or with people and changes in the job you have. You may be so afraid of failure on the job that you've quit trying hard enough to succeed. Whatever challenges you're facing in the workplace, at CPAS you can work on those issues with a therapist trained to explore new ways to deal with them effectively. Work, kids, errands, trouble with a neighbor, chores piling up. And now your car needs to be fixed, your roof is leaking and your allergies are making you miserable! It doesn't take much these days for stress to build up to the point where you feel you might burst at the seams. Or you may be stressed out by major life changes -- like a divorce, losing a job or going through menopause. Stress can actually make you physically sick. It can lead to high blood pressure, heart problems, eating disorders, digestive ailments and more. You can work with a CPAS counselor to discover new ways to find relief from stress and to cope with unavoidable stressful situations. We can't fix your car or cure your allergies. But psychotherapy does offer effective ways to learn to live in these stressful modern times without feeling overwhelmed. Losing a loved one, losing a job, losing a partner, learning you have a serious illness. All these things can throw you into emotional turmoil. Loss is a part of life, but it doesn't have to control your life. And you don't have to go through it alone. Grief therapy is specifically designed to help you gain control of the stages of loss you're going through without feeling overwhelmed. It's natural for you to feel sad, angry, even guilty when you experience a major loss. It's important to confront those feelings rather than bury them deep in your soul. Psychotherapists at CPAS have training and experience helping people cope at all levels with loss and grief. You won't forget your loss, nor should you. But grief counseling strives to help you explore healthy ways to confront and cope with that loss for the rest of your life. A CPAS therapist can take your hand and guide you through this troubling time. We will work to restore your physical, mental and spiritual balance so you can better cope with the blows you've suffered and perhaps even find new meaning in your life. Have you lost sight of the love that brought you together in the first place? If so, when was the last time you saw it and can it be recovered? Marital counseling is a form of therapy designed to help couples communicate better with each other, to break negative cycles of behavior and to push the "blame game" out of your relationship. Marital counseling is also designed to help both partners reconnect with each other and restore the emotional, physical and spiritual balance it takes to be a happy couple. It takes hard work to make a happy marriage, hard work to be a happy couple. More than 40% of all marriages in this country end in divorce. CPAS therapists can't promise to save your marriage, but we do believe we can give you a fighting chance. 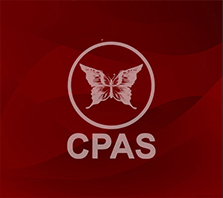 At CPAS your licensed therapist can meet with each partner individually and with both partners together. We'll talk openly about what's out of balance in your relationship. Who's not listening to whom? Why is one partner more anxious or angry than the other? CPAS also offers other forms of relationship counseling, including counseling for best friends, siblings, even co-workers who aren't getting along. Relationship counseling of this nature can be effective for any two people who used to be close but now find themselves drifting apart or locked in conflict. In group therapy, you'll meet with a licensed therapist and a small group of other people who are also on their own quests. Group therapy is a great way to work through conflicts and get new ideas about how your behavior affects other people and how others affect your own emotional well-being. Sometimes combining individual therapy with group counseling can be a powerful tool to help you achieve meaningful change in your life. Groups often form to address a specific issue, such as shared depression, grief or trauma. The idea is to surround you with people who are struggling the same way you are to remind you that you are not alone. Under the guidance of the therapist, you'll be encouraged to interact freely with others, to develop new social skills and gain new insight. Your work environment consists of people who have no choice but to spend a lot of time with each other. Stress, pressure, egos, insecurities can result in your workplace becoming as out of balance as a troubled family. Corporate counselors utilize specific therapeutic techniques to help coworkers learn to get along and work together more productively. At CPAS our corporate counseling is designed to provide you and your colleagues with tools to improve your time and stress management skills. You also learn how to break destructive cycles of conflict, to interact with difficult workers, supervisors and people who report to you. CPAS offers creative corporate counseling to explore new ways to manage workplace stress and to get your workplace family back to a state of productive harmony. Presurgical assessment includes psychological testing to make sure you're ready for the major lifestyle changes you will experience after undergoing a bariatric procedure. If you're considering any form of bariatric surgery to lose weight, you need to know that most insurance companies that cover such procedures now require psychological counseling before your surgery. CPAS specializes in presurgical bariatric assessments and counseling. If the assessment indicates the need for counseling, we can provide this and will address areas of concern identified by the assessment. We'll explore your eating habits and your emotional responses to food. We'll work together to find other ways for you to deal with stress and emotions. We know that the first step can be really hard, but the psychotherapist at CPAS will serve as your guide.